The court asked the West Bengal counsel to amend its prayer and submit a fresh plea. It also said Banerjee could submit a plea before it as an individual. 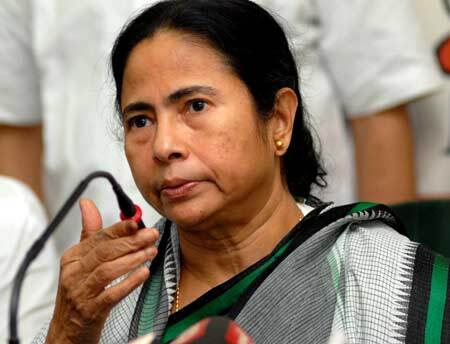 West Bengal Chief Minister Mamata Banerjee on Monday said she will "obey" the directive of the Supreme Court, which questioned the state government's move to challenge a central law linking Aadhaar to social benefits and said she could file a plea in individual capacity. "They (judges) have given their directive and we will obey that. I don't think there is any problem. We appreciate it," Banerjee told reporters at the state secretariat today. The apex court today questioned the West Bengal government's petition challenging the Centre's decision to make Aadhaar mandatory for availing benefits of government welfare schemes, saying it was against the federal structure. "How can state file such a plea? In a federal structure, how can a state file a plea challenging Parliament's mandate," a bench comprising justices A K Sikri and Ashok Bhushan said. The chief minister said that her government had gone to the court because it had "some grounds." "We had some grounds. We accept the court's observation. There is no problem. Some individuals have already applied," she said. Several petitions challenging the Centre's move to make Aadhaar mandatory for welfare schemes and notifications to link it with mobile numbers and bank accounts, are pending in the apex court. Banerjee had earlier said she will not link her mobile phone number with Aadhaar and had dared the Centre to disconnect it.